Marama Davidson's participation in the Women's Boat to Gaza should be celebrated with some pride in New Zealand. Marama joined twelve other women (including Nobel Laureate Mairead Maguire) in a peaceful action of solidarity to support the besieged people of Gaza. Without protests such as this the plight of the Palestinian people in Gaza and the illegal activity of the Israeli Government can easily be ignored. The 2014 attacks on Gaza destroyed 100,000 Palestinians homes, killed over 2,000 (495 children) and left 900 survivors with permanent disabilities. An attempt by Turkey in 2010 to bring humanitarian support for those in Gaza resulted in an attack by Israeli forces that killed nine Turkish citizens. Past New Zealand Prime Minister, Geoffrey Palmer, led a UN investigation into the Israeli blockade that found that it had resulted in "collective punishment" and was in "flagrant contravention of international human rights and humanitarian law". 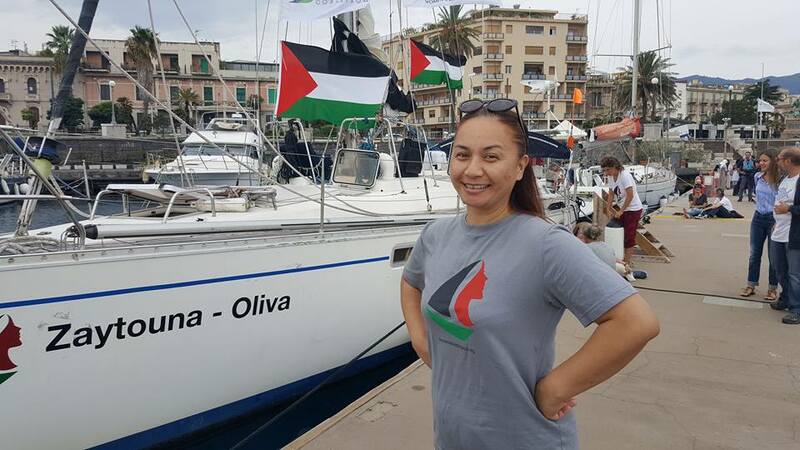 Marama's participation in the Freedom Flotilla was a principled decision and a brave one considering the past reactions of the Israeli forces. Given that the blockade has now been in force for almost ten years it is clear that international diplomacy has failed and peaceful protest action is necessary to highlight the realities of the ongoing suffering. When Marama was captured while still in international waters, and detained by Israeli authorities, I would have expected recognition from our Government for her bravery and immediate condemnation for her detention. The response has been the opposite. The Prime Minister described Marama's detention as "a less-than-perfect look" and Judith Collins described the protest as "a stunt" and suggested that Marama is paid to do a job in New Zealand. Their responses ignored the fact that a vote was put to the House in support of the Women's Boat to Gaza by Catherine Delahunty and it was passed with a clear majority. This reaction from a Government that has welcomed tax avoiding foreign trusts, blatant money laundering and bribing a Saudi businessman is predictable. Human rights have never been high on John Key's agenda as Prime Minister and his answers to Metiria Turei's questions revealed that he had no intention of making a stand on the biggest human rights issues confronting the world today. New Zealand gained a lot of international respect in the past for human rights advocacy, but no longer. This Government barely pays lip service to human rights treaties we have signed and this is becoming noticeable internationally as we seek trade deals with morally corrupt regimes, do little to meet our climate change targets and ignore growing child poverty. Thank you, Marama, for your bravery and making me even more proud to be a member of the Green Party. Thanks for your comment Pam, I was disappointed to hear a representative from the Israeli community in New Zealand given prominence on National Radio to condemn Marama's actions. I feel the Israeli position over the treatment of Palestinians is similar to that of climate change deniers and should be treated with similar scorn.